When aluminum is passed between rolls under pressure, it becomes thinner and longer in the direction in which it is moving. 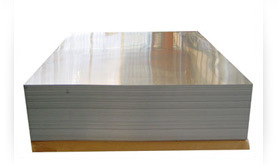 This simple process is the basis for aluminums most widely used forms: plate, sheet, and foil. Rolled products, i.e. 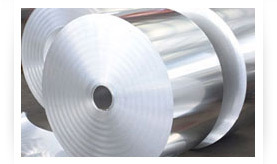 sheet, plate and coil constitute almost 50% of all aluminum alloys used. Rolling begins with huge sheet ingots weighing as much as 20 tons that have been preheated to make them easier to shape. As the size of rolling mills has increased, so has the size of these ingots, but a typical ingot is about 6 feet wide, 20 feet long, and more than 2 feet thick. 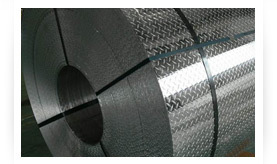 Before rolling, the aluminum is an ingot of up to 600mm thick. This ingot is heated to around 500°C and passed several times through the hot rolling mill. The thickness of the metal is gradually reduced to around 6mm. This thinner aluminum is then coiled and transported to the cold rolling mill for further processing. There are several types of cold rolling mill, and they produce various types of rolled product, with thicknesses as low as 0.05mm. The ingot is first fed into a breakdown mill, where it is rolled back and forth, reversing between the rolls until the thickness has been reduced to just a few inches. At this point, some plate is removed and readied for shipment. The plate is heat-treated and quickly cooled, or quenched, for added strength and then stretched to straighten and relieve internal stress built up during rolling and heat-treating. Finally, the plate is trimmed and aged at the desired temperature to develop its final properties.